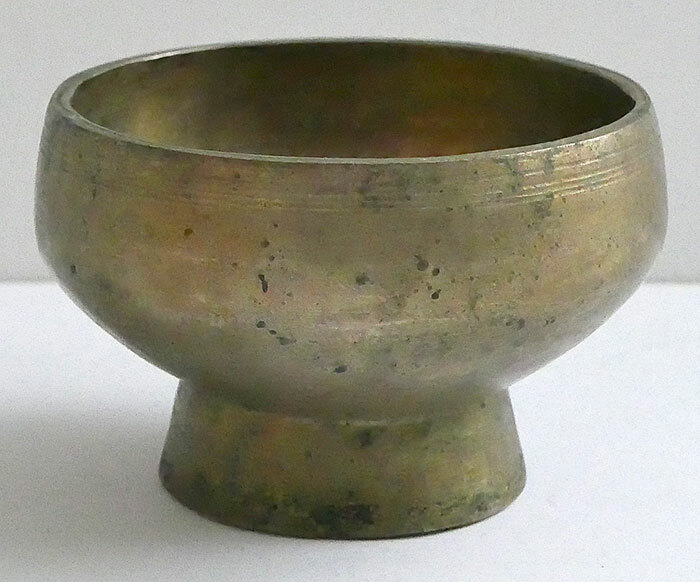 This small antique Naga Singing and Healing Bowl has a fifth octave F# fundamental (752Hz) when struck or played around the rim with a ringer. It’s a very responsive bowl and easy to play. This little bowl is very well forged with thick walls and a grooved lip. It has an interesting and unusual shape, and is structurally sound.